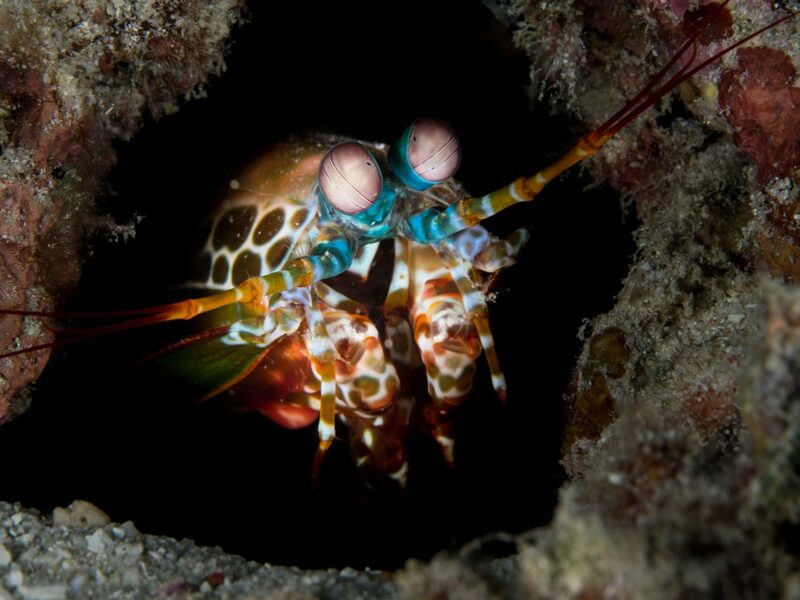 Mantis shrimp looking out of its hole on a dive in Raja Ampat. The photo was taken by David and Melanie Benz during their visit at Papua Explorers Dive Resort. Is Raja Ampat Suitable for Snorkelers? When is the best time to visit Raja Ampat? Merry Christmas, Happy Holidays & Happy New Year!